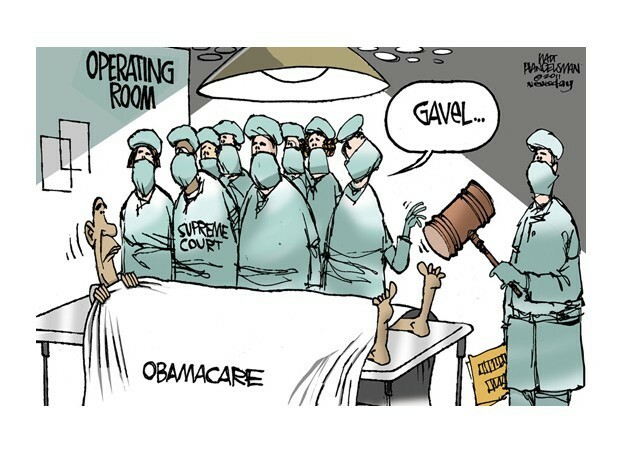 Today marks the second day the Supreme Court of the United States is hearing oral arguments on the constitutionality of ObamaCare’s mandate that all individuals must have health insurance. Congress adopted the individual mandate and justified its constitutionality by relying on the Commerce Clause. Here’s their argument: Because the uninsured use health care, they have an impact on commerce, thus Congress has enumerated powers to regulate it outlined in Article 1, Section 8, Clause 3 of the Constitution. Congress’s reliance on the Commerce Clause to support the individual mandate was politically expedient but constitutionally deficient. Congress’s power to regulate interstate commerce is broad but not limitless. What do you think? Does health care count as commerce? Does Congress have the constitutional power to regulate it?